Srinagar, Sep 07 (KNS): Crime Branch Kashmir on Friday claimed to have lodged an FIR against the bank fraudsters and cheaters. 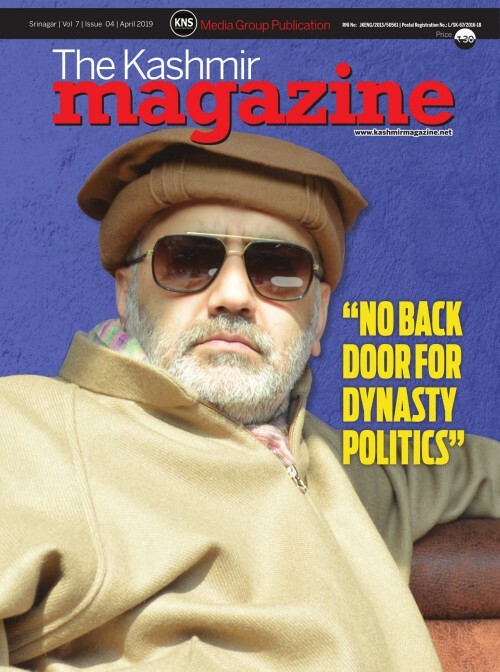 According to the statement issued to KNS, officials said that CB Kashmir had received a complaint from Branch Head J&K Bank Business Unit Nowhatta Srinagar alleging therein that one Tasaduq Khaliq Mir proprietor M/S Fashion Crap availed Cash Credit Loan facility of Rs 10 lac for his whole sale and retail trade of clothes and also availed a Cash Credit Loan facility of Rs 21 lacs from the J&K Bank Business Unit Ganderbal. “The said loanswas granted against mortgage of three storied residential house along with land underneath and appurtenant thereto measuring 01 Kanal 03 Marlas under Khasra No. 295 Khata No. 61 and Khewat No. 13 situated at Mouza Buchpora Tehsil Srinagar. After completing all legal formalities the sanctioned amount was disbursed in favour of the said loanee,” officials said. “The loanee subsequently turned a defaulter and failed to repay the loans as per agreed terms and conditions and was classified as a Non- performing Asset in Sept. 2013. The present balance outstanding in the said loan account is Rs 54.10 lacs,” the statement added. It said that the said loanee has also availed a credit card facility of Rs 0.50 lac from Business Unit Ganderbal having present balance outstanding of Rs 4.41 lac. “The bank authorities during their process of making effective recovery from the loanee found that the three storied residential House along with land underneath and appurtenant thereto measuring 01 Kanal 03 Marlas situated at Mouza Buchpora was not recorded in his name who defrauded the J&K Bank Branch Units both at Nowhatta and Ganderbal by furnishing fake and forged revenue documents,” the statement said. Officials said that thus the accused Tasaduq Khaliq Mir, son of Abdul Khaliq Mir of Illahi Bagh 90 feet Road Srinagar cheated the said J&K Bank Branches dishonestly and fraudulently on the basis of forged revenue documents in league with the concerned revenue officials who by abuse of their official position paved way for such cheating to cause wrongful gain upon himself against a corresponding loss to the J&K Bank Business Units Nowhatta Srinagar and Ganderbal.